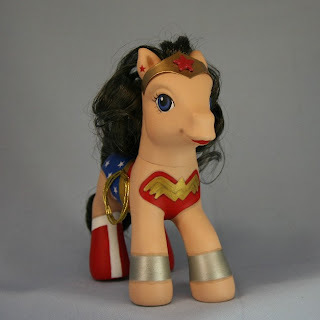 Stellar Four: My Little Ponies Meet Cosplay? Yes, Please! My Little Ponies Meet Cosplay? Yes, Please! You've seen scads of costume photos at Stellar Four over the past week, both on people and on felines. 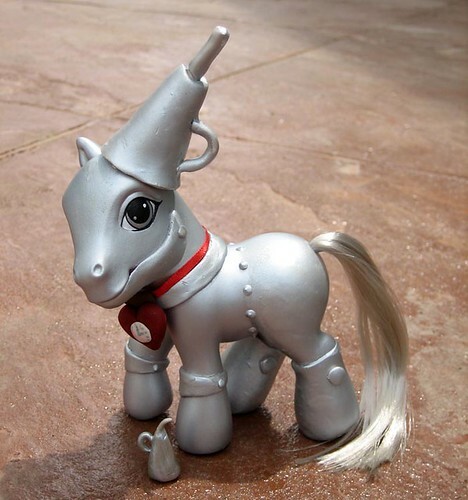 Now, it's time for a look at a beloved childhood toy engaging in some dress up. 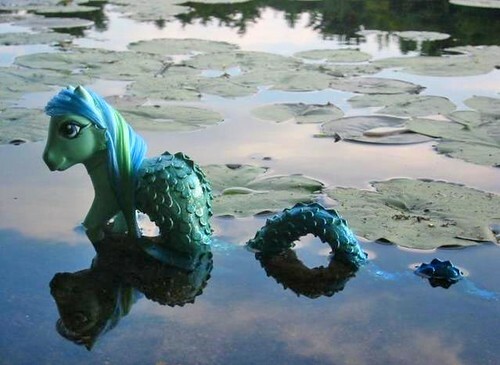 Regretsy recently featured a number of My Little Pony artists who turn the diminutive horses into tiny works of nerd-friendly art. They're clever, playful, wondrously detailed and surprisingly endearing. Check out some of the examples below and tell me you don't want a whole stable full. Requiem Art has created Doctor Horrible ponies, Loch Ness monster ponies, and Wizard of Oz ponies, among others. The hammer is his ... um, never mind. This is the best photo of Nessie ever captured. Put 'em up, put 'em up! 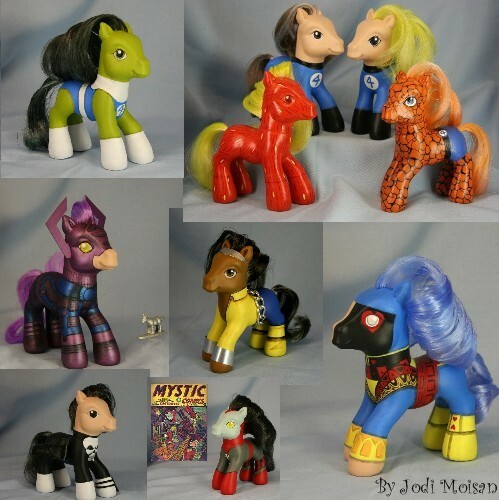 Jodi K. Moisan creates My Hero Ponies, lovingly rendered comic book and superhero ponies that will make any geek's heart go pitter pat. Her website has many other comic-inspired creations to explore, as well. 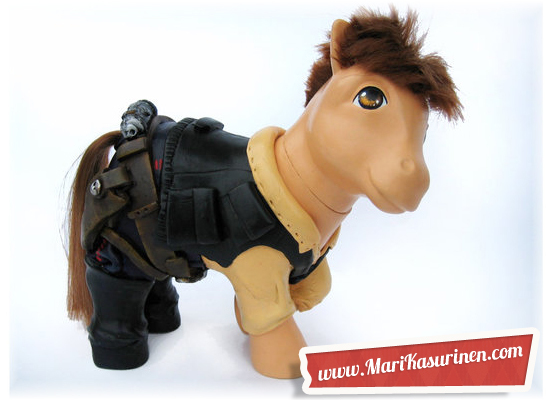 My heart belongs to Punisher pony. 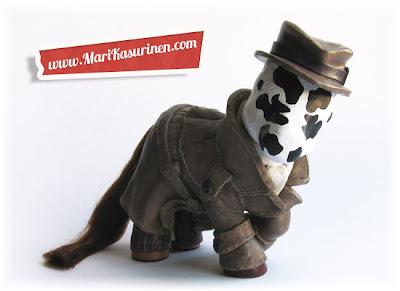 Finally, Mari Kasurinen has an astounding number of eye-popping Pony creations. Among my favorites are Rorschach, Spock, Han (he also comes in carbonite!) and Cthulhu. Check out her website; you'll be delighted (and a little sad that you don't own the whole set). 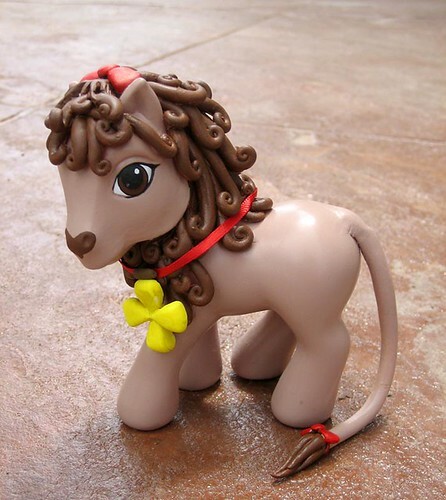 This pony is deeply unnerving. 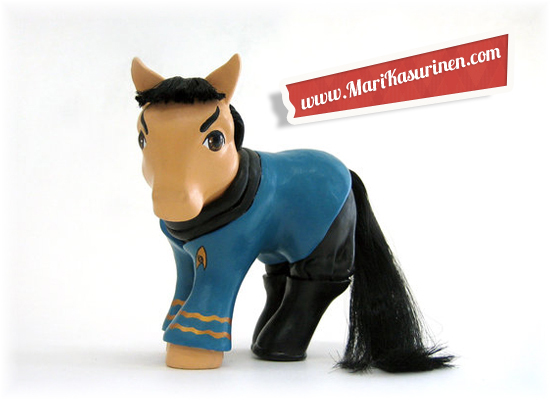 Eyebrows on horses are not logical. Do not waken the Elder Ponies. Oh man those are great! 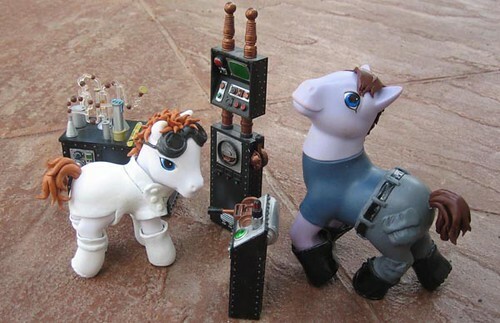 I loved My Little Ponies as a kid!! These are made of WANT! THe Rorschach one is unnerving & striking. I also like the Alien one. Aren't they amazing? This was one of the hardest posts I've put together because I love all of the ponies, and I struggled to pick which ones to feature. I want the Wonder Woman pony sooooooo bad.